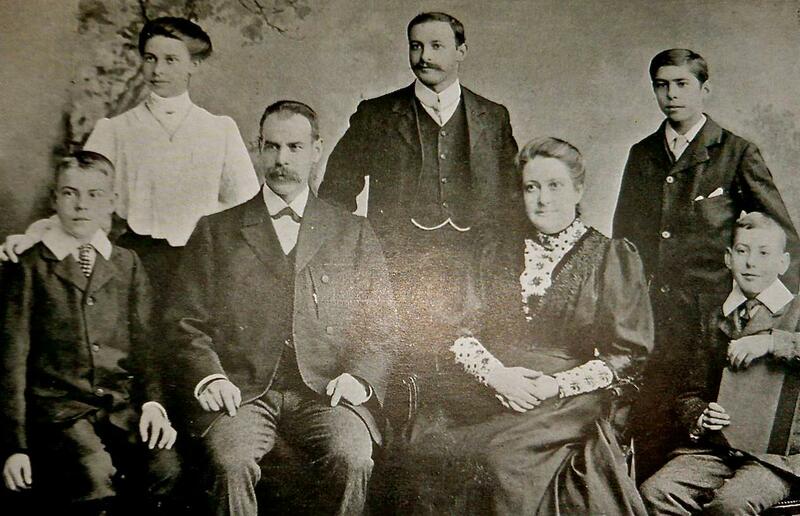 Smith Wigglesworth was born in 1859 to a very poor family. His father did manual labor, for very little pay. Smith himself went to work at the age of six to help with the family income. At six he was pulling turnips and at seven he was working in a woolen mill twelve hours a day. His parents did not know God, but Smith hungered in his heart to know Him. Even as a youngster he would pray in the fields. His grandmother was the critical Christian in his life. She was a Wesleyan Methodist and would take Smith to meetings with her. At one of these meetings there was a song being sung about Jesus as the lamb and Smith came into the realization of God's love for him and his decision to believe Christ for his salvation was decided that day. He was immediately filled with the desire to evangelize and led his own mother to Christ. Smith has various church experiences as he was growing up. He first went to an Episcopal church and then at thirteen a Wesleyan Methodist church. When he was sixteen he became involved in the Salvation Army. He felt deeply called to fast and pray for lost souls. He saw many people come to Christ. At seventeen a mentor shared with him about water baptism and he decided to be baptized. The Salvation Army was experiencing a tremendous level of the power of God in those days. He describes meetings where "many would be prostrated under the power of the Spirit, sometimes for as long as twenty-four hours at a time." They would pray and fast and cry out for the salvation of fifty or a hundred people for the week and they would see what they had prayed for. At eighteen Smith left the factory and became a plumber. He moved to Liverpool when he was twenty and continued to work during the day and minister during his free time. He felt called to minister to young people and brought them to meetings. These were destitute and ragged children, whom he would often feed and care for. Hundreds were saved. Smith was often asked to speak in Salvation meetings and he would break down and weep under the power of God. Many would come to repentance in those meetings through this untrained man. At twenty-three he returned back Bradford and continued his work with the Salvation Army. In Bradford Smith met Mary Jane Featherstone, known as Polly, the daughter of a temperance lecturer. She left home and went to Bradford to take a servants job. One night she was drawn to a Salvation Army meeting. She listened to the woman evangelist, Gipsy Tillie Smith, and gave her heart to Christ. Smith was in that meeting and saw her heart for God. Polly became an enthusiastic Salvationsist and was granted a commission by General Booth. They developed a friendship, but Polly went to Scotland to help with a new Salvationist work. She eventually moved back to Bradford and married Smith, who was very much in love with her. The couple worked together to evangelize the lost. They opened a small church in a poor part of town. Polly would preach and Smith would make the altar calls. For a season, however, Smith became so busy with his plumbing work that his evangelistic fervor began to wane. Polly continued on, bringing Smith to conviction. One day while Smith was working in the town of Leeds he heard of a divine healing meeting. He shared with Polly about it. She needed healing and so they went to a meeting, and Polly was healed. Smith struggled with the reality of healing, while being ill himself. He decided to give up the medicine that he was taking and trust God. He was healed. They had five children, a girl and four boys. One morning two of the boys were sick. The power of God came and they prayed for the boys and they were instantly healed. Smith struggled with the idea that God would use him to heal the sick in general. He would gather up a group of people and drive them to get prayer in Leeds. The leaders of the meeting were going to a convention and left Smith in charge. He was horrified. How could he lead a meeting about divine healing? He tried to pass it off to someone else but could not. Finally he led the meeting and several people were healed. That was it. From then on Smith began to pray for people for healing. Smith had another leap to make. He had heard about the Pentecostals who were being baptized in the Holy Spirit. He went to meetings and was so hungry for God he created a disturbance and church members asked him to stop. He went to prayer and prayed for four days. Finally he was getting ready to head home and the vicar's wife prayed for him and he fell under the power of God and spoke in tongues. Everything changed after that. He would walk by people and they would come under the conviction of the Holy Spirit and be saved. He began to see miracles and healings and the glory of God would fall when he prayed and preached. Smith had to respond to the many calls that came in and gave up his business for the ministry. Polly unexpectedly died in 1913, and this was a real blow to Smith. He prayed for her and commanded that death release her. She did arise but said "Smith - the Lord wants me." His heartbroken response was "If the Lord wants you, I will not hold you". She had been his light and joy for all the years of their marriage, and he grieved deeply over the loss. After his wife was buried he went to her grave, feeling like he wanted to die. When God told him to get up and go Smith told him only if you "give to me a double portion of the Spirit – my wife’s and my own – I would go and preach the Gospel. God was gracious to me and answered my request.” His daughter Alice and son-in-law James Salter began to travel with him to handle his affairs. Smith would pray and the blind would see, and the deaf were healed, people came out of wheelchairs, and cancers were destroyed. One remarkable story is when He prayed for a woman in a hospital. While he and a friend were praying she died. He took her out of the bed stood her against the wall and said "in the name of Jesus I rebuke this death". Her whole body began to tremble. The he said "in the name of Jesus walk", and she walked. Everywhere he would go he would teach and then show the power of God. He began to receive requests from all over the world. He taught in Europe, Asia, New Zealand and many other areas. When the crowds became very large he began a "wholesale healing". He would have everyone who needed healing lay hands on themselves and then he would pray. Hundreds would be healed at one time. Over Smith's ministry it was confirmed that 14 people were raised from the dead. Thousands were saved and healed and he impacted whole continents for Christ. Smith died on March 12, 1947 at the funeral of his dear friend Wilf Richardson. His ministry was based on four principles " First, read the Word of God. Second, consume the Word of God until it consumes you. Third believe the Word of God. Fourth, act on the Word." Want to read Smith Wigglesworth's books? Want to read about him?